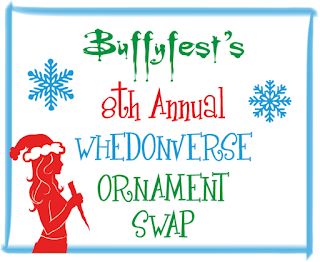 Reminder: 2015 Whedonverse Ornament Swap Deadline is Today! Hear Ye, Hear Ye! Today is the last day to join the crafty Holiday fun! If you'd like to sign up for one of our favorite traditions - our beloved Whedonverse themed ornament swap - follow the instructions below before midnight tonight! We'll be sorting the groups immediately and you'll receive your list of recipients tomorrow. 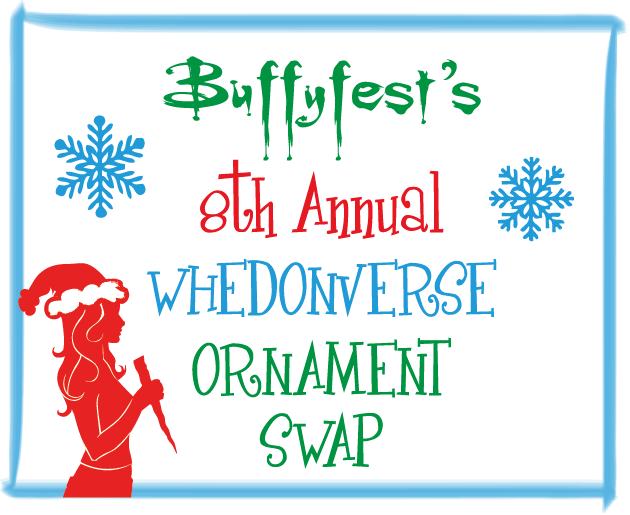 The 8th Annual Whedonverse Ornament Swap! Ho ho ho! The Holidays are finally here and we're proud to once again announce our 8th annual Whedonverse Holiday Ornament Swap. Eight years, can you even believe it!! 1. Sign up by sending an email with the subject "MERRY WHEDON" and the following information to buffyfest@aim.com by Monday, November 16th. 2. On November 17th you'll receive an email from us containing the addresses and email addresses of 4-6 swap participants for you to send your ornaments to. Since you'll have each other's personal info, please contact each other with any questions, disputes or praise. 4. Package your ornaments well (especially if you create something fragile) and send one ornament to each person on the list of swap participants in your group by Tuesday, December 8th.